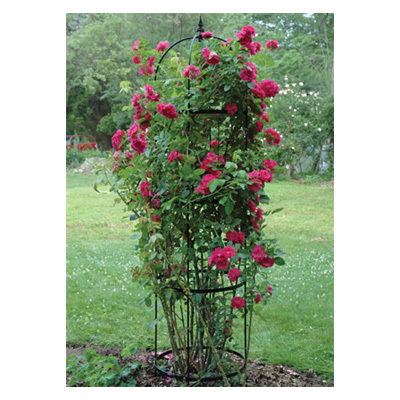 Magnificent Obelisks add vertical interest to borders and flower beds, singly or in groups of three or more. Mix roses with clematis. Display wisteria, climbing annuals, moon vines, honeysuckle and variegated ivies. They also look great in large containers. Trio of rose pillars (one of each size): Small- 62" tall x 13" wide Medium-75" tall x 13" wide Large-86" tall x 15" wide Regular Price if bought separately - $138.41 SPECIAL OFFER: SAVE 5% savings! Magnificent Obelisks add vertical interest to borders and flower beds, singly or in groups of three or more. Mix roses with clematis. Display wisteria, climbing annuals, moon vines, honeysuckle and variegated ivies. They also look great in large containers. 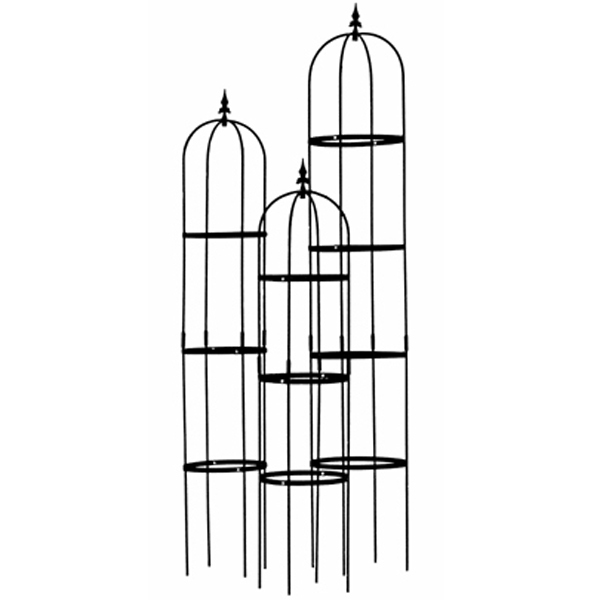 Uprights are solid steel rods, powder coated black and topped with decorative finials. Flat steel horizontal bands. Shipped flat for economical freight and easily assembled with a screwdriver. All hardware included.